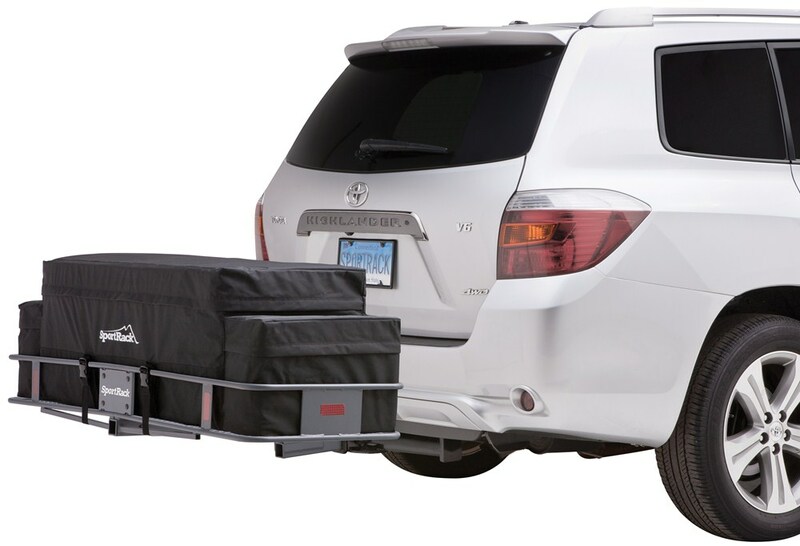 This durable, water-resistant nylon bag fits perfectly into your SportRack hitch-mounted cargo carrier and protects your gear from the elements during transport. It has 3 compartments to keep your gear organized and built-in straps for installation. 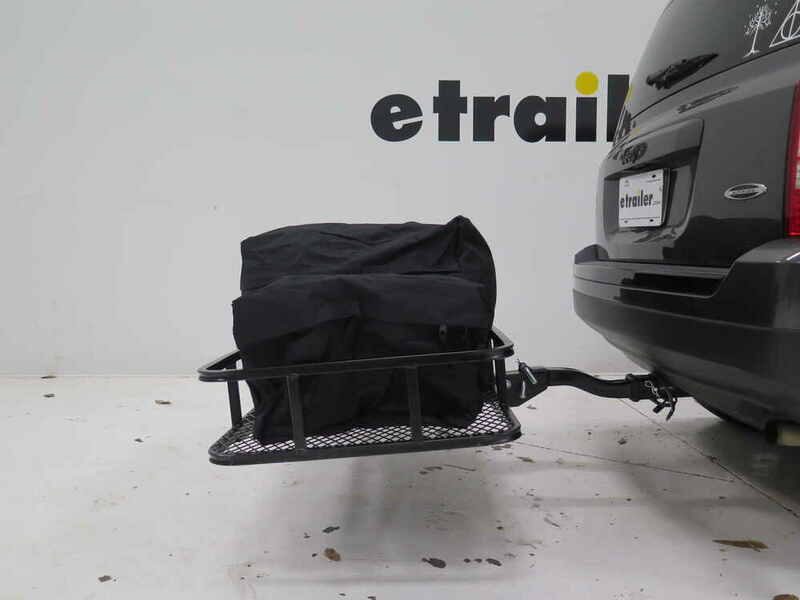 Call 800-298-8924 to order SportRack hitch cargo carrier bag part number SR8120 or order online at etrailer.com. Free expert support on all SportRack products. 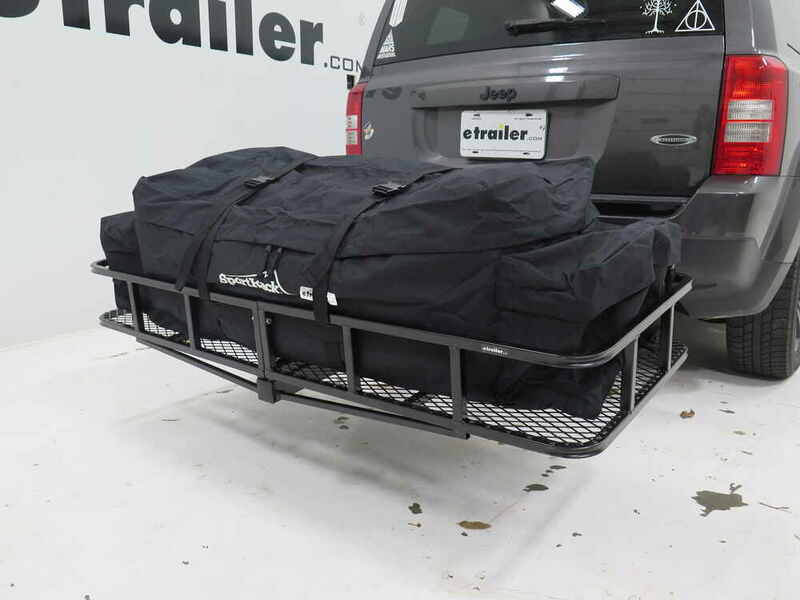 Guaranteed Lowest Price and Fastest Shipping for Cargo Bag for SportRack Hitch Mounted Cargo Carrier - Weather Resistant - 10 cu ft. Hitch Cargo Carrier Bag reviews from real customers. This durable, water-resistant nylon bag fits perfectly into your SportRack hitch-mounted cargo carrier and protects your gear from the elements during transport. It has 3 compartments to keep your gear organized and built-in straps for installation. Today were looking at part number SR8120 from SportRack. 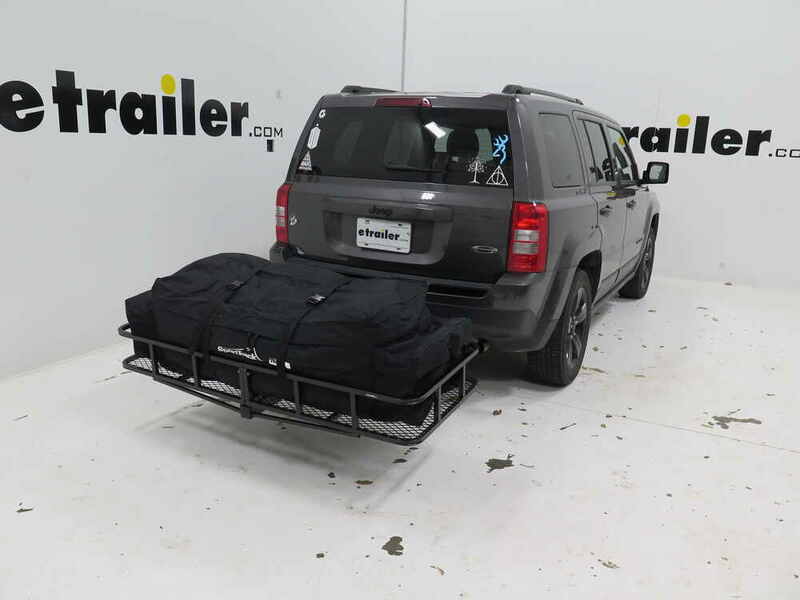 This is their cargo bag that fits perfectly into the SportRack Hitch Mounted Cargo Carrier, part number SR9850, and that part is sold separately. This bag gives you a total of 10 cubic feet of storage. In the main compartment you have a zipper that goes all the way around, Im sorry, three-quarters of the way around. Its a double zipper works just like a luggage zipper and then you have a flap that goes over it. Let me show you. The zipper when it comes together like that can be padlocked together for security, and on these side pockets you also have a three-quarters of the way around zipper and those also can be padlocked. 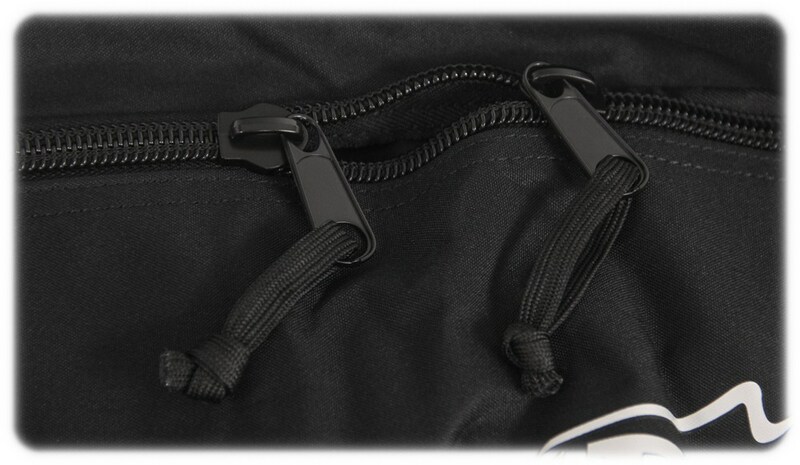 The zipper is covered by a double-sided, double-stitched flap all the way around, covers the zipper on the main compartment and on both side compartments, and that helps to keep water out of your gear. The bag itself is made of a sturdy nylon. 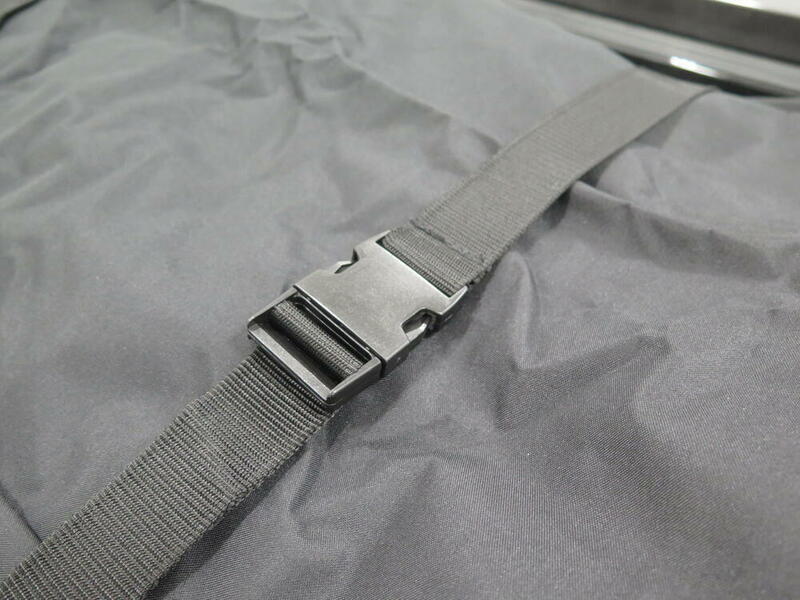 It has two heavy duty nylon web straps that work just like a seatbelt. 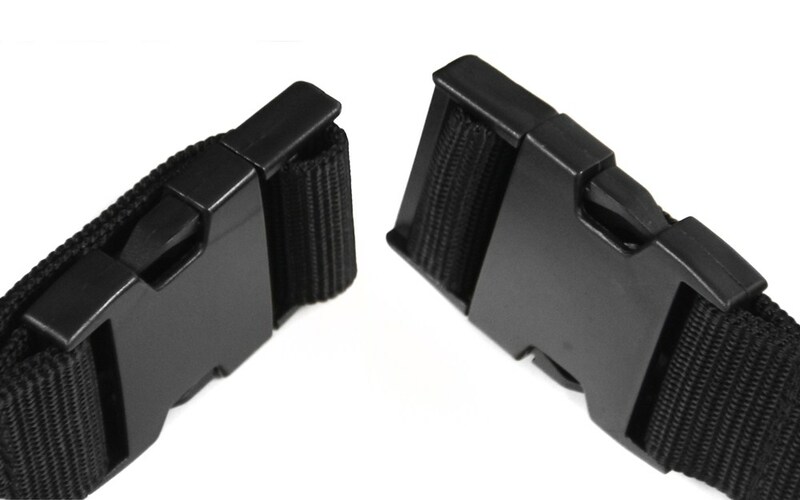 Theyre fully adjustable, and they snap together just like a seat belt so you know how to use that. This bag is 60 inches. Thats 5 feet long from one side to the other. Its a total of 16 inches tall going that way, and 19 inches wide going this way, and it does come with a limited lifetime warranty. 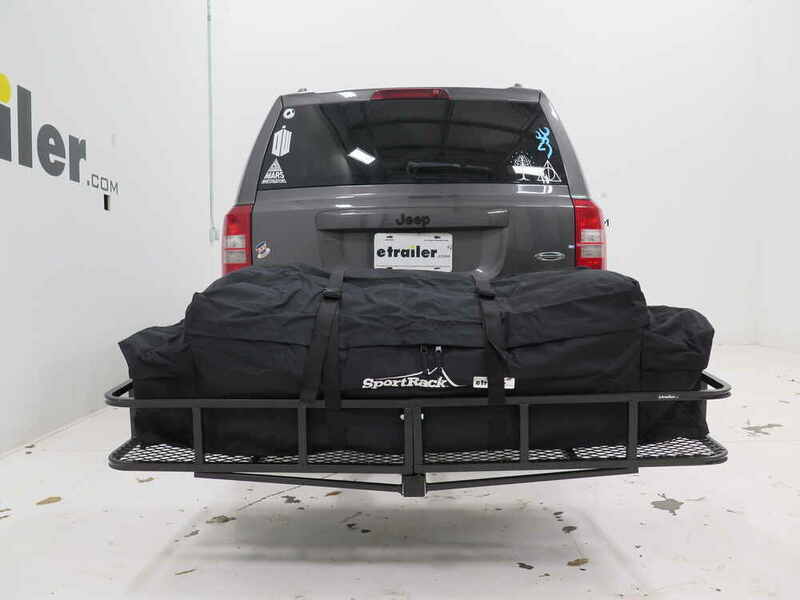 And there you have it for part number SR8120, the SportRack Cargo Bag for their hitch mounted cargo carrier. 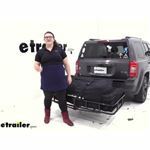 Order: RelevanceNewestRating - High to LowRating - Low to High This durable, water-resistant nylon bag fits perfectly into your SportRack hitch-mounted cargo carrier and protects your gear from the elements during transport. It has 3 compartments to keep your gear organized and built-in straps for installation. 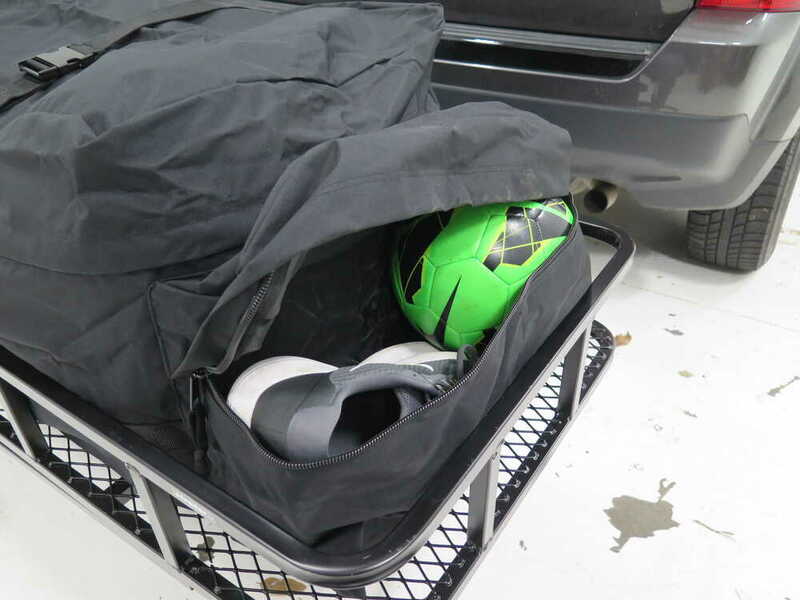 I went out to our warehouse to measure the SportRack Cargo Bag # SR8120. I found the main compartment to measure approximately 41 inches long x 19 inches wide x 16 inches tall. I have attached a diagram to show this measurement. Overall the bag measures 60 inches long x 19 inches wide x 16 inches tall and can hold up to 10 cubic feet of cargo. 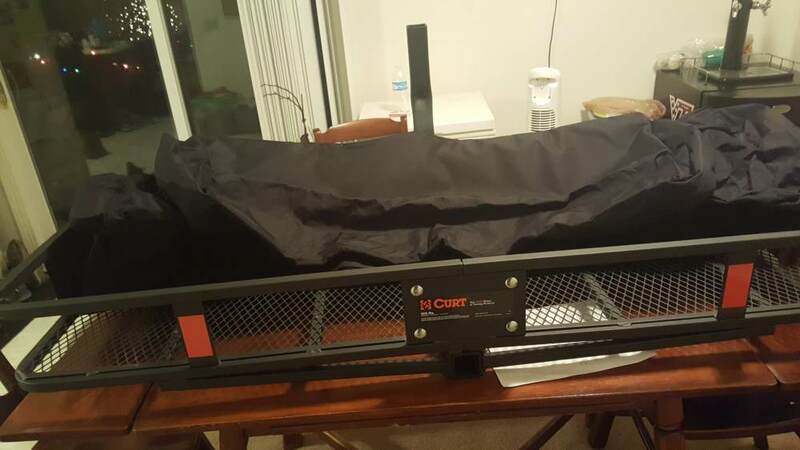 The # 988501 that you referenced would be a little big for your 60x20 inch cargo carrier so instead I would recommend you go with the # SR8120 as it is 60 inches by 19 inches so it would fit your carrier very well. Does The MaxxTow Hydraulic Pickup Truck Crane Need To Be Filled With Oil Before Use? The size of the main compartment of the SportRack Cargo Bag part # SR8120 that you referenced is only 41 inches, so while I have a solution for you this would not be it. Instead I would recommend the part # 988501 which measures 59" x 24" x 24". Check out the review video I attached as well. This will work well on a 20 by 60 cargo carrier.